If you want a quality vehicle that won’t break the bank, it’s hard to beat a spacious used Chevy SUV. One of our top recommendations is the used Chevy Traverse LTZ, a family-friendly SUV with a 5-star overall score from the NHTSA. There are so many great benefits of buying a used car, so why not take your test drive at Libertyville Chevy today? We’re just a short drive from Waukegan and Gurnee! A used Chevy SUV is a great choice for any Illinois driver. It has the spacious cabin and top safety scores to impress parents who want a family car, but it’s agile and efficient enough to please high-mileage commuters. And if you’re on a budget, the used Chevy Traverse LTZ can save you a bundle. You’ll spend less money on your down payment, monthly costs, sales fees, insurance costs, and more. Plus, no need to fret about steep depreciation! Ready for your test drive? 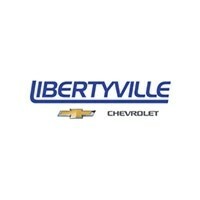 Head to Libertyville Chevy today. Still weighing your options? Take a look at our used cars under $15k!